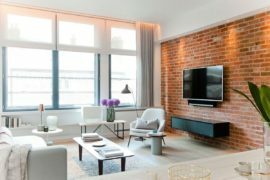 Any real estate in the heart of London is invaluable, and there are times when existing structures need to be preserved, upgraded and even revamped completely to make the most of the precious space on offer. 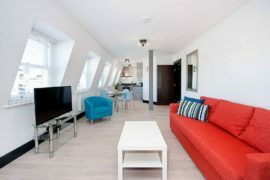 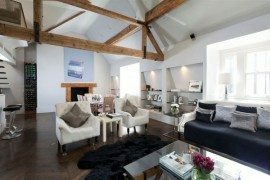 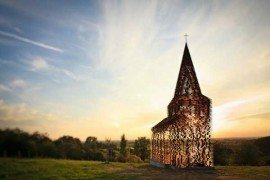 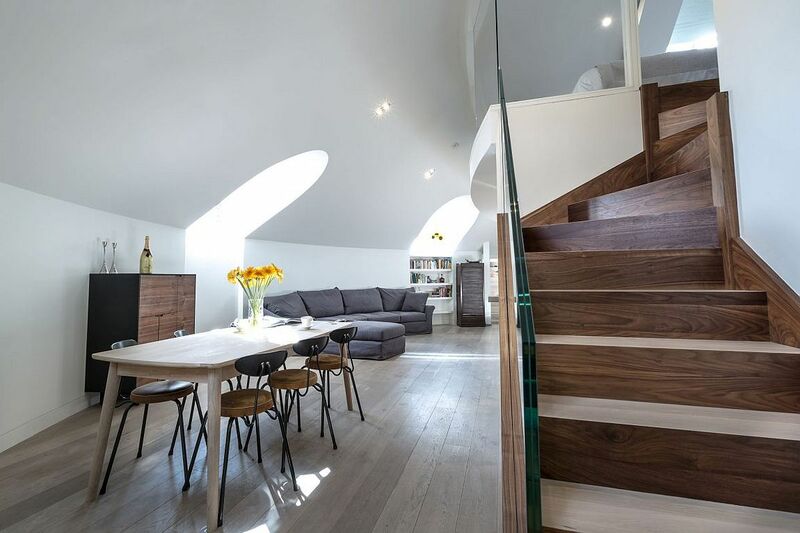 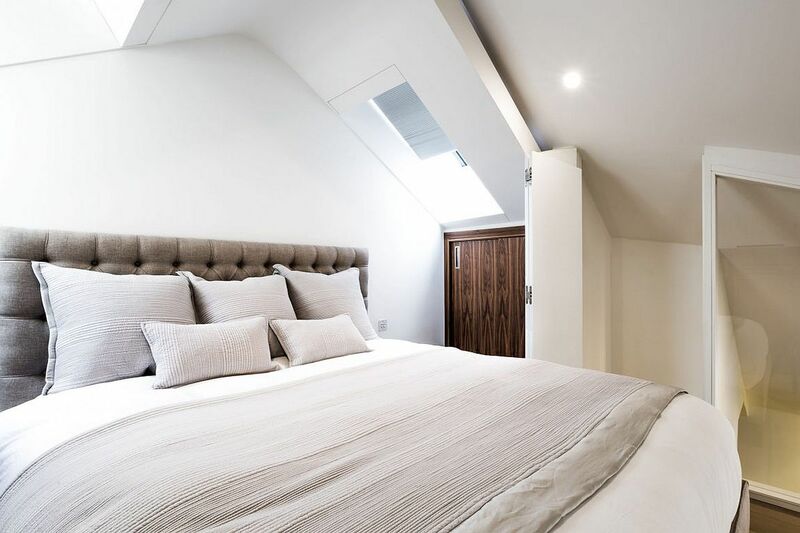 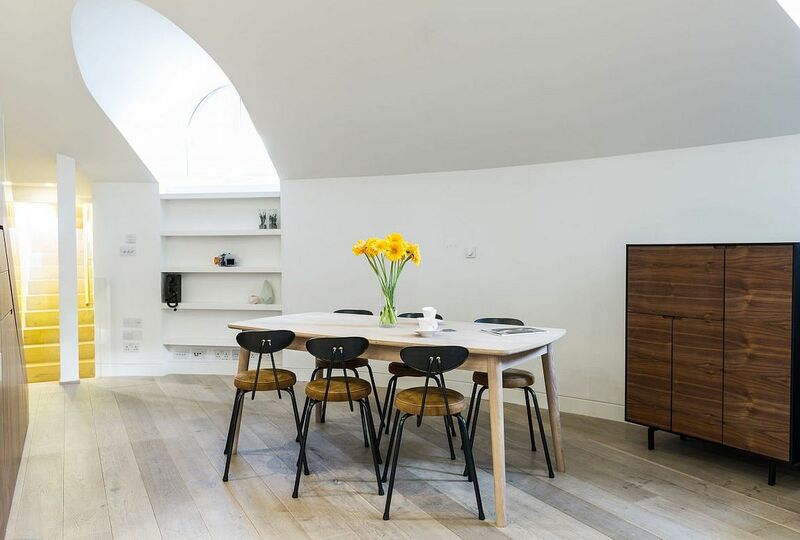 Situated not too far away from iconic landmarks of the city, such as the Lords Ground (home of cricket) and the Beatles crossing, this exquisite contemporary apartment sits inside what was once an orthodox church. 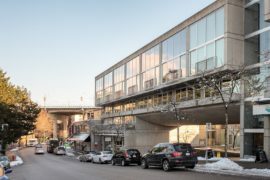 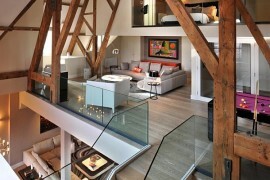 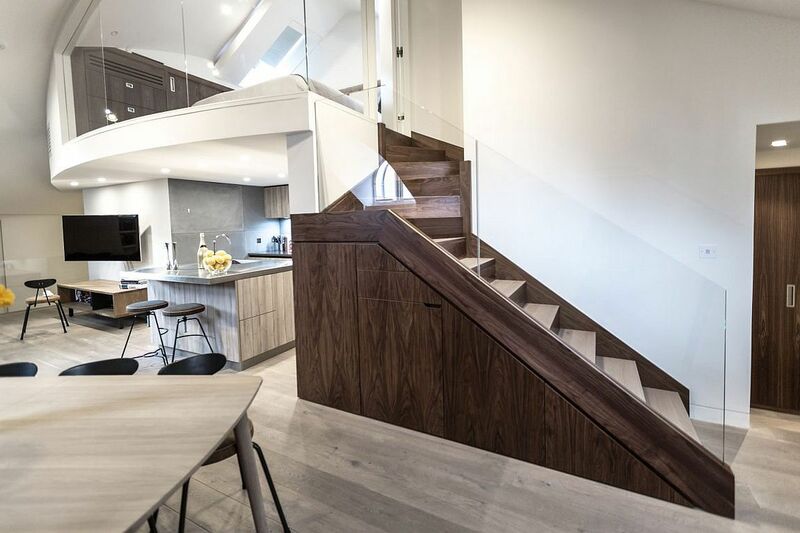 Thanks to the adaptive reuse of the structure, the building was transformed into a modern residential unit that now holds 13 apartments, along with this breezy penthouse designed by VORBILD architecture. 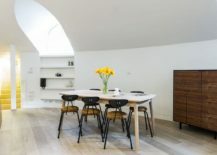 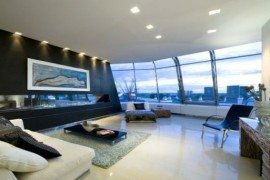 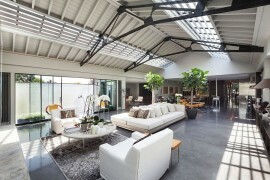 Working with the existing limitations, architects decided to remove all internal partitions of the penthouse and create an open living area that also holds the kitchen and dining space. 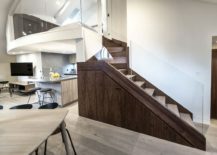 But the real showstopper here is the curved mezzanine level above the kitchen that contains the master bedroom and is connected with the living area visually at all times. 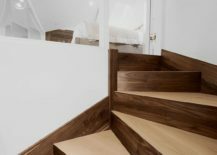 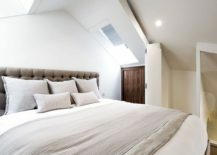 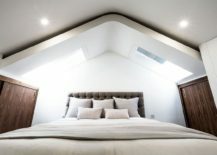 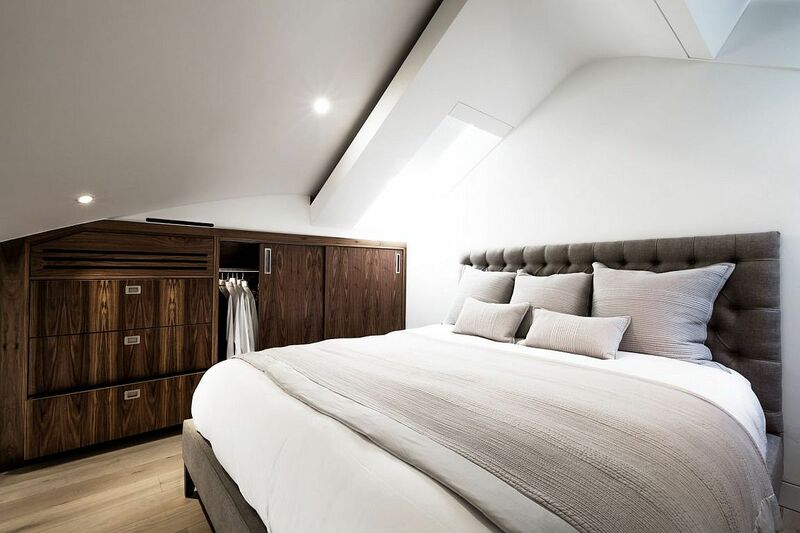 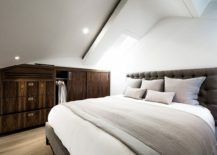 A custom walnut oak staircase leads to this cozy bedroom, even as the two revamped towers of the church now hold two additional bedrooms and bathrooms. 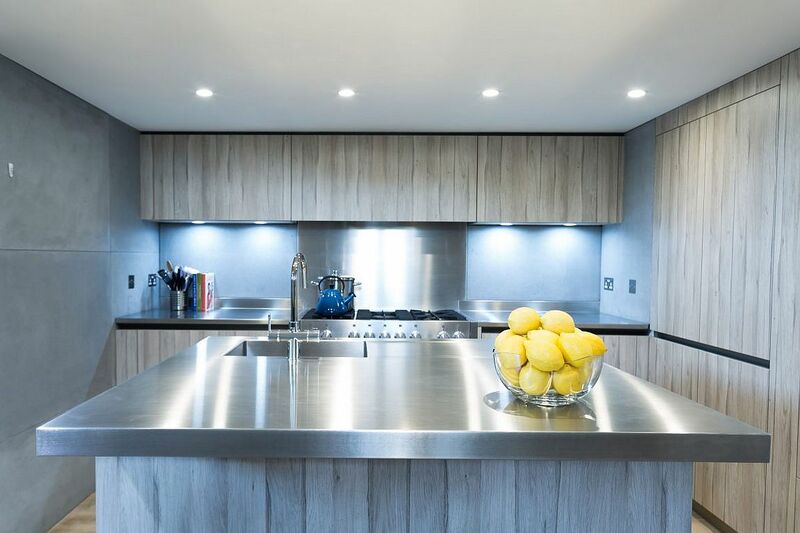 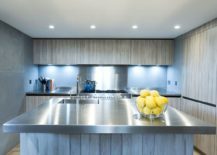 The kitchen also brings along with it several custom features like the concrete backsplash, steel worktops and expansive wooden storage units that extend all the way up to the ceiling. 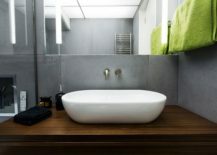 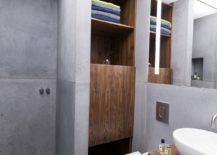 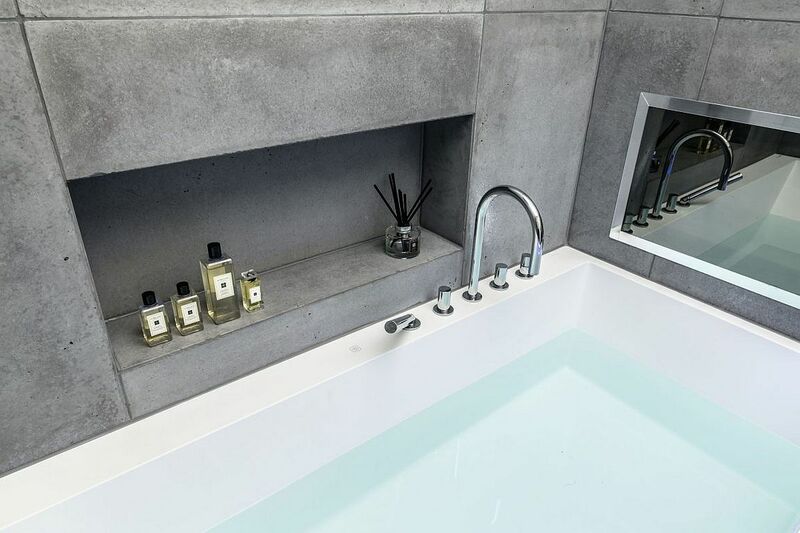 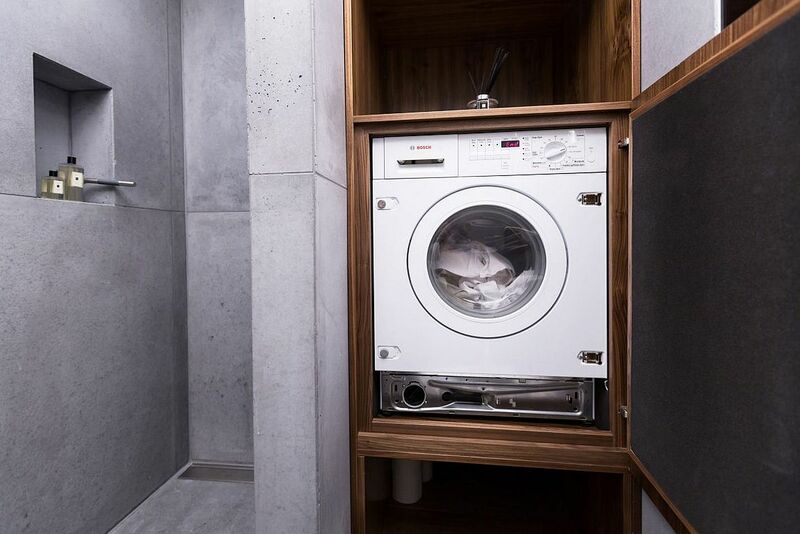 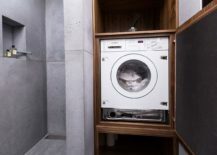 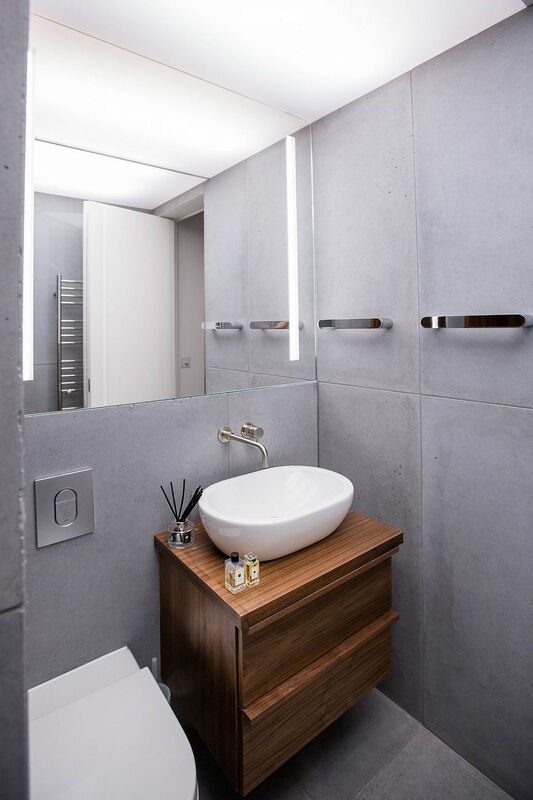 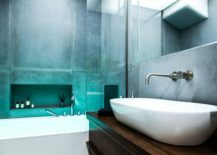 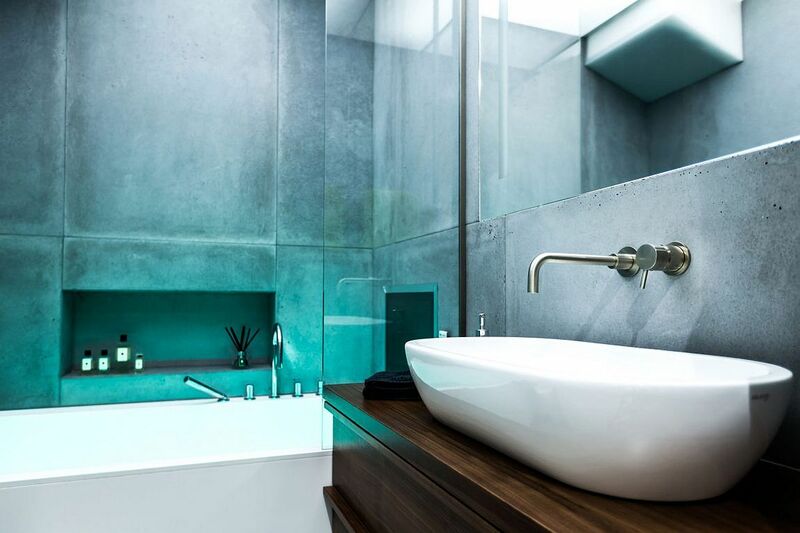 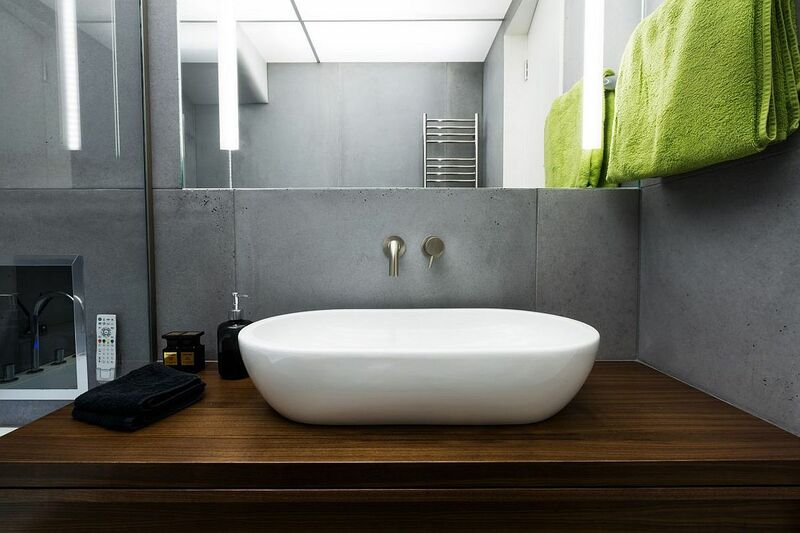 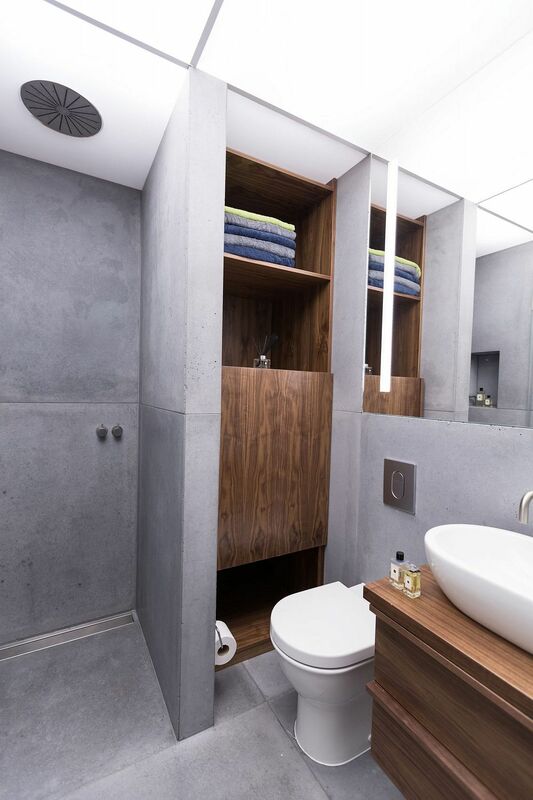 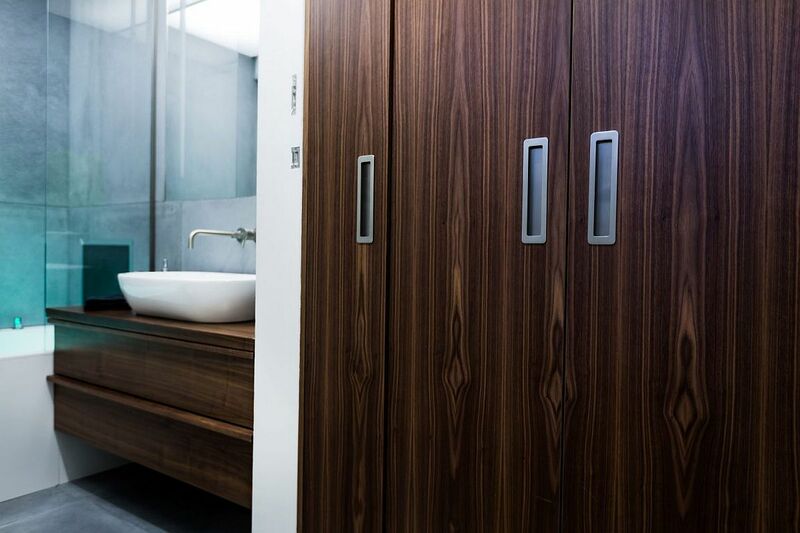 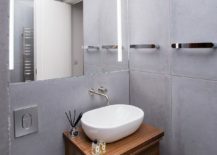 The bathrooms look equally stunning with their use of cool concrete tiles, custom walnut oak vanities and cabinets, and smart design that tucks away everything from the washing machine to an Aquavision TV. 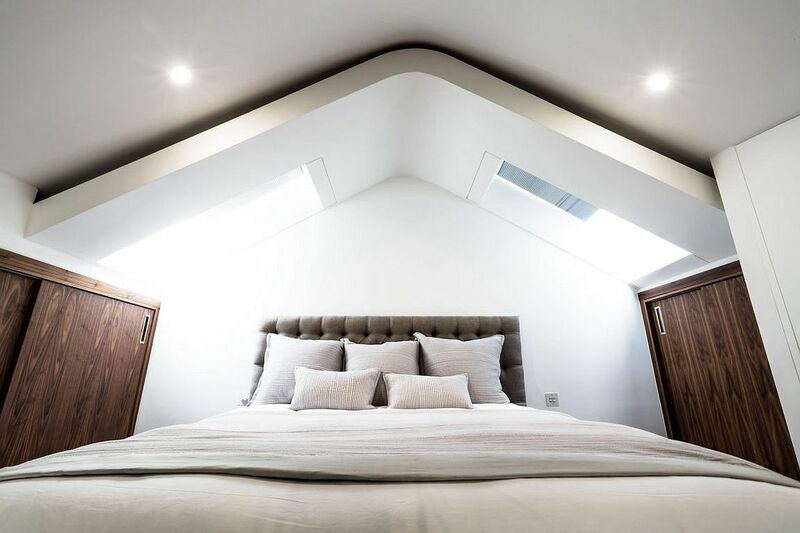 Natural light is barely an issue here with plenty of windows and skylights, while smart ambient lighting and décor in neutral shades complete a magnificent makeover!